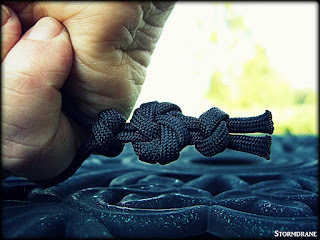 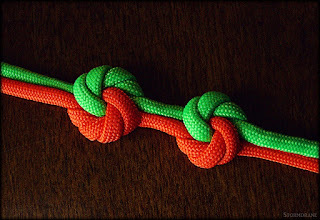 A knot tying friend, Robert, had recently shared a link on Google+ for a Chinese website knot tutorial, for which the name translated to 'Mandala Knot', showing a couple of variations, with the simpler one used here. 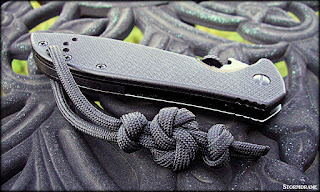 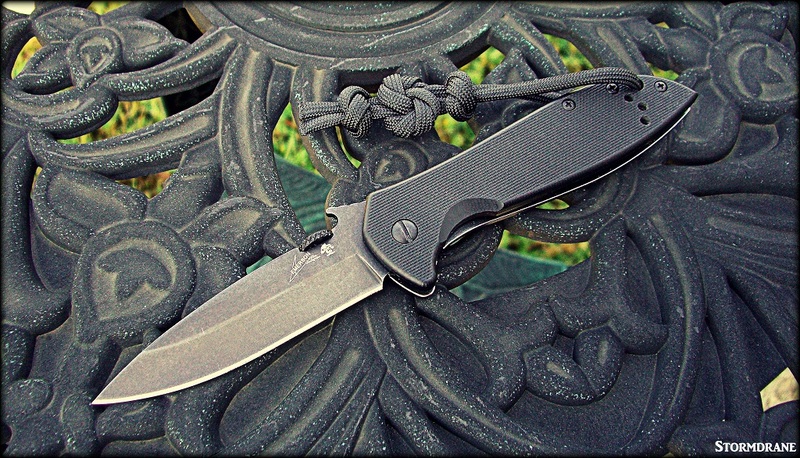 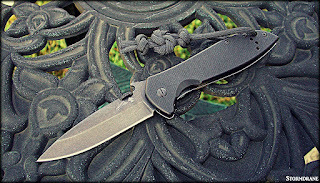 I tied an example with a length of black paracord for a Kershaw Emerson CQC-4K pocket knife edc lanyard/fob, with a loop section just large enough for my little finger to fit through for retention, so as to not drop the knife when using it. The knot has a pleasing pattern of tight curving loops to a center point on both sides of a somewhat thick disc shape after careful shaping and tightening of the knot. 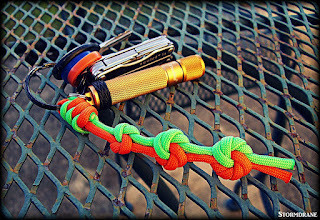 Also tied were a couple of two-strand stopper knots, before and after the Mandala Knot, so I ended up using about two feet of paracord in the finished lanyard/fob. 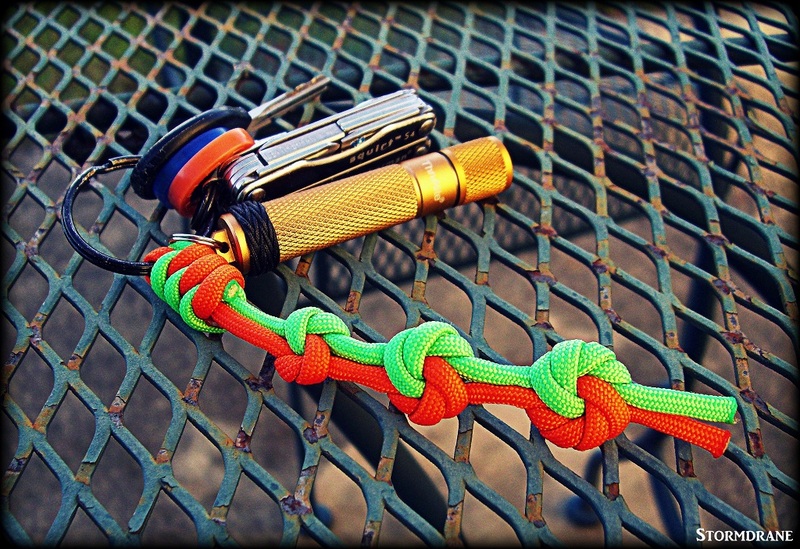 I'm an Amazon affiliate, so 'Thank You!' to those that shop there through my blog's links, since I receive a small commission from sales through those links posted in my blog. 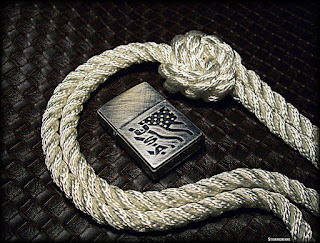 If you need an edc backpack, check out the limited edition VENOM and VENOM RED mochi drawstring backpacks with Stormdrane logo, which I receive a percentage of sales from, each having a stitched paracord handle that I worked with Mochibrand on for the design. 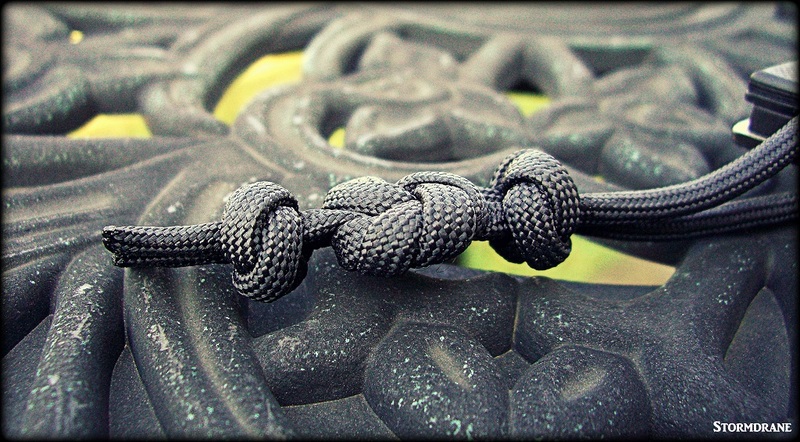 And a Mandala knot tied with some 3/8" twisted nylon rope. 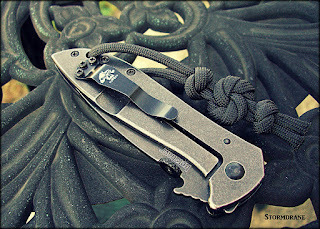 My Zippo alongside for size reference.